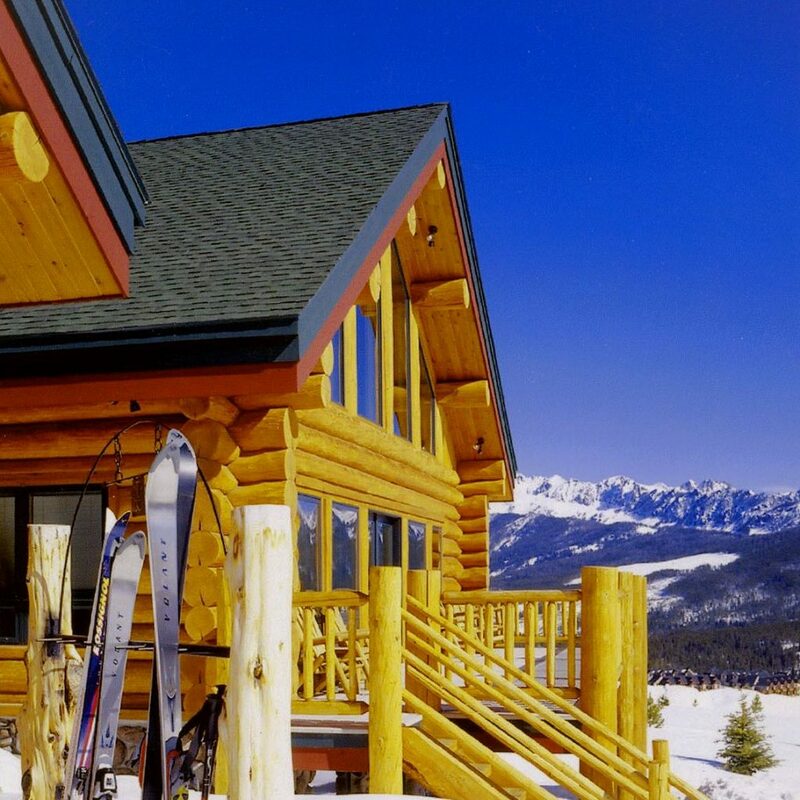 Colorado might be the perfect place for a custom log home! When you’re at home in the mountains, you want the rugged character of a log or timber home. Log cabins have always had a place in the mountains of America–but today you need more than just a rustic log cabin. You want an efficient log house where traditional craftsmanship and modern function meet. North American Log Crafters brings you 40 years of fine log homes in Colorado, across the USA and around the world. The best custom log homes and luxury log cabins begin with premium Canadian logs, hand peeled and hand crafted in the full-scribe method. The highest grade timber is selected for every log home. Each log builder has dedicated 20 years to his craft. Delivered to your property in Colorado, and professionally reassembled, the 15″ mid-span diameter Douglas Fir or Western Red Cedar logs create an impressive log house or custom timber home that becomes the heart and soul of your active lifestyle. Completed by local American tradesmen, your log home or timber frame shows off the teamwork of many craftsmen. A custom log home in Colorado is designed to showcase your style and help you enjoy life the way you live it! Modify an existing log home plan or work with a draftsman to create a unique house plan that’s perfect for your mountain lifestyle and location. From compact log cabin plans to luxurious log chalet homes, you’ll find superior quality timber and skilled craftsmanship in every North American Log Crafter home. You’ll love your Colorado life even more at the end of each day in your custom log home! When you’re planning to build your dream home in Colorado, you may have a few things in common with our log home clients around the world. You are adventurous. You are persistent. You are particular. You make no apology for the home you want (in any size!) and you accept no compromises on quality timber and craftsmanship. Begin with the tremendous beauty and strength of logs from British Columbia, Canada. Demand the luxury of hand crafted quality and the skill of experienced log builders. Expect personalized service and attention to detail. Appreciate exceptional log and timber construction, reasonably priced from North American Log Crafters!